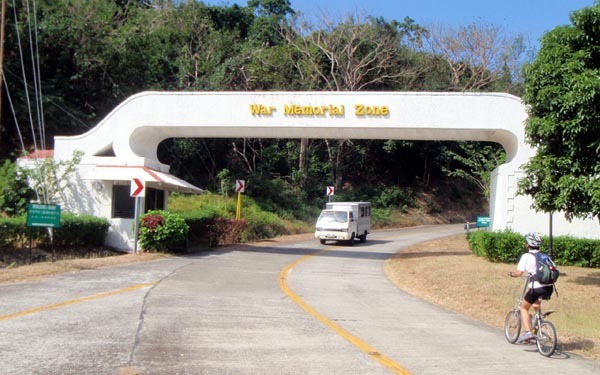 Corregidor is a fortress island at the entrance of Manila Bay and lies 41 kms west of Manila. 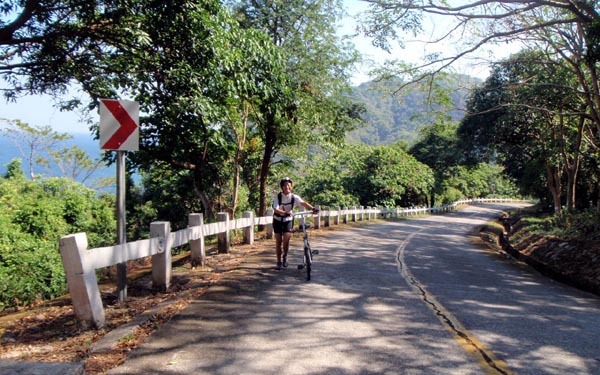 It's accessible by ferry from either Manila, Bataan or Cavite. 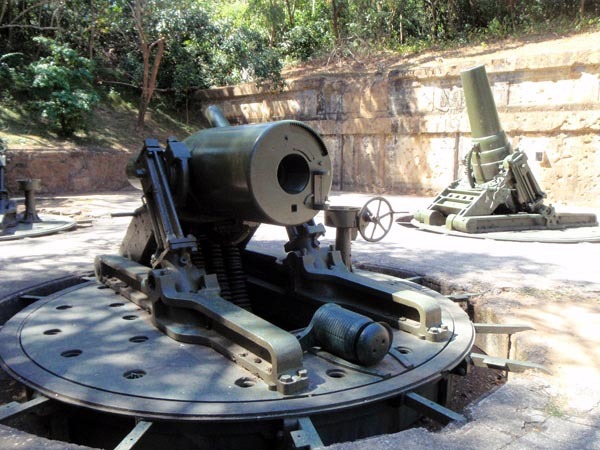 During the Japanese siege of the Philippines in 1941, Corregidor was the base of the Allied Forces in the Philippines. 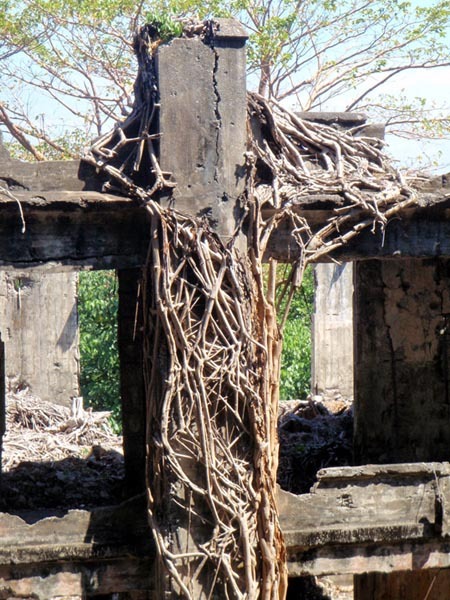 It was the remaining stronghold of the Americans and Filipinos after Bataan fell to the Japanese. 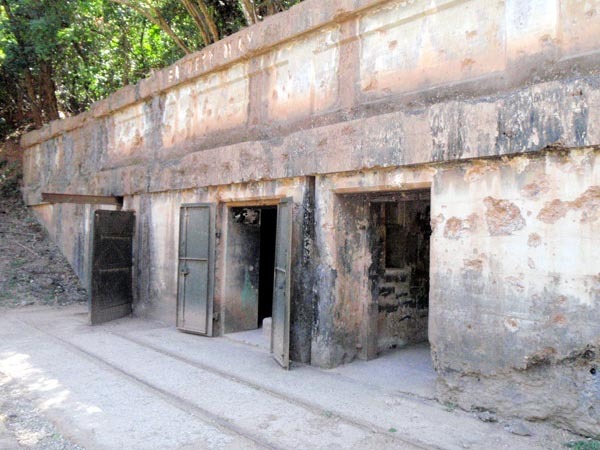 Against overwhelming odds, they held the fort but relented on May 6, 1942 after the superior Japanese forces nearly bombed them out of the map. 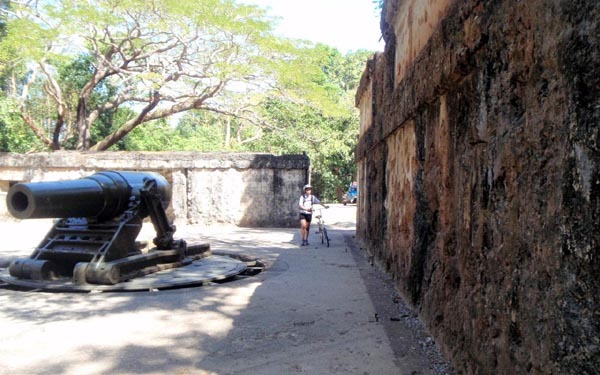 Today, the island is a peaceful and quiet historic shrine, frequently by tourists and war veterans. 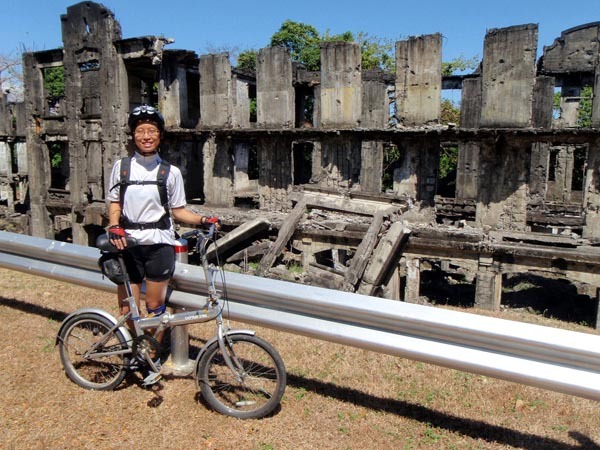 Char and I planned on biking the entire Corregidor Island to celebrate my last birthday. It didn't happen. 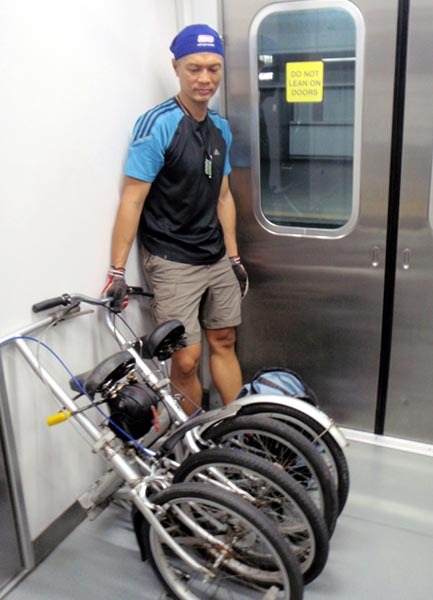 We had full-size mountain bikes and LRT had no policy in place yet about accommodating folding bikes. It would take 2 cabs to load the bikes...it was plain too expensive. 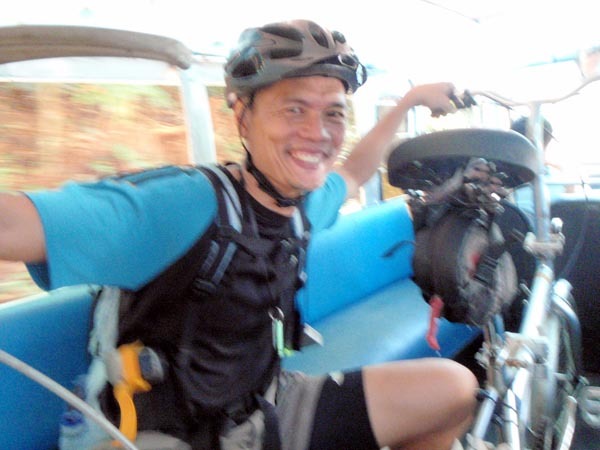 Now that the LRT is accommodating folding bikes, it was time to give the Corregidor plan a "Take 2". Since MRT is still not allowing folding bikes (even on a Sunday when passenger volume is low), we took the LRT line 1 (Aurora Blvd route) to Recto station and then boarded the LRT line 3 (Taft Ave. route) and got off at the Vito Cruz station. 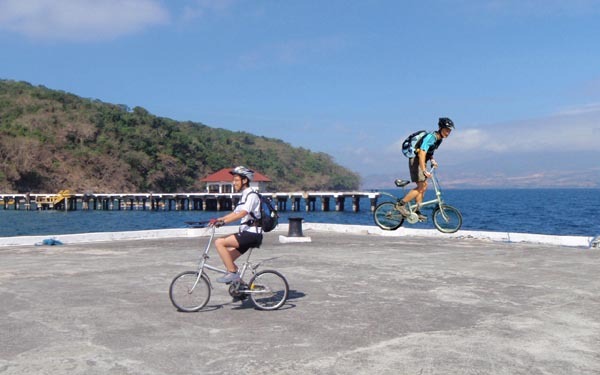 From there, we biked to the Corregidor ferry terminal at the CCP complex. 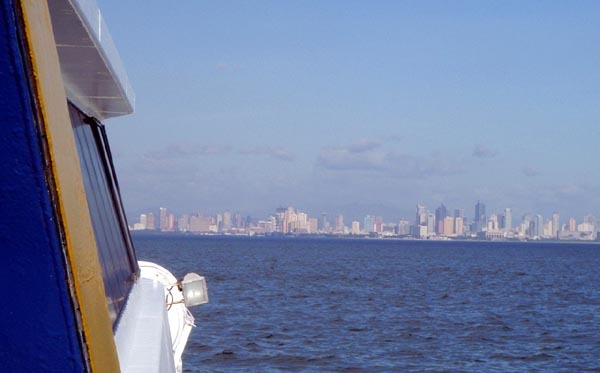 The 90-minute ferry service from Manila is provided exclusively by Sunrise Tours. It only has 1 trip for the day that leaves at 8am daily. With no reservation, it's best to line up by 7am. Sunrise also provides guided tours and hotel accommodation in the island. In fact, all the tourists on the ferry took the guided tour/meal package. 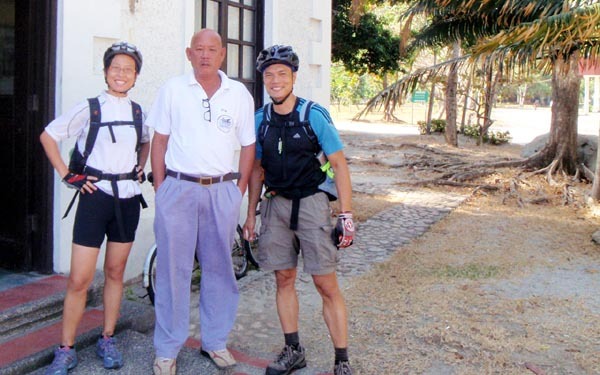 It was only Char, myself and Gerry (an American who came with his folding bike) who took the option of exploring the island on our own with our folding bikes. 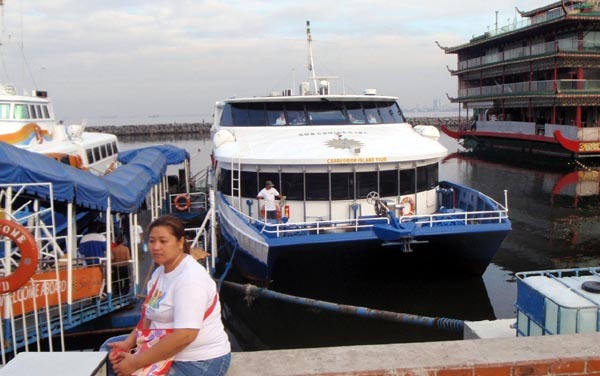 Being a monopoly, the ferry ride was a whopping P1000 for a 2-way ride per person. On top of that, you don't have the whole day to explore the island. The ferry departs Corregidor at 2pm, which leaves you roughly 4 hours to explore Corregidor (factoring the travel time and the boarding time). 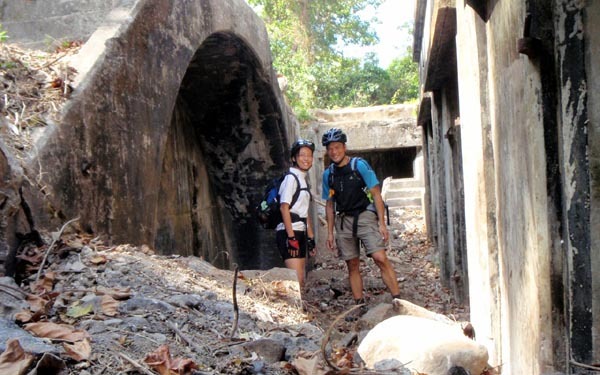 Corregidor CANNOT be explored even by bike on 4 hours. An overnight stay is more like it. However, overnight camping is another P1150 fee. As a new member of the Wild Bird Club of the Philippines, I now take special notice of birds in every place I go to. 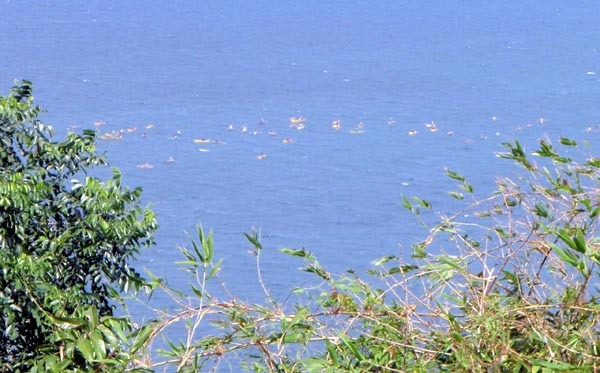 Being an island at the mouth of Manila Bay, Corregidor is a sanctuary for birds. It was teeming with bird calls. Unfortunately, I had no binoculars then but from what the members tell me, it's a haven for bird watching that's seldom availed of. 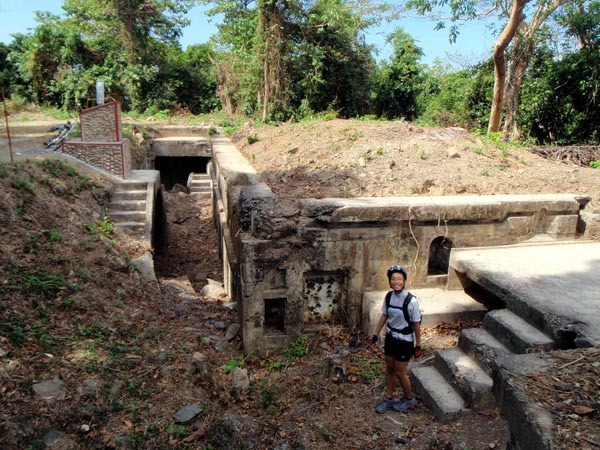 Corregidor has numerous features from WWII, but we only had time to see Battery James and Battery Way. It was close to 2pm and we didn't want to risk being left by the ferry. Blue balls is what I'd call it. We were just beginning to get our bearings and enjoy the exploration! Corregidor is beautiful. Its serenity betrays the savagery of its history. 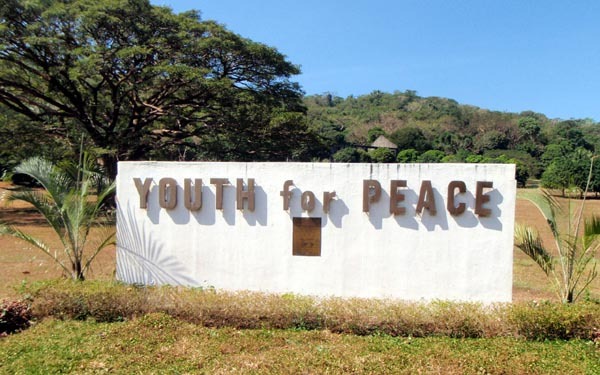 With its pristine natural surroundings, you'd be hard pressed to think it was the site of the Japanese Imperial Army's onslaught against the defiant Philippine/US forces during WWII. Considering it's only 90 minutes by ferry from Manila, it makes for an ideal weekend getaway. For a weekend warrior on a budget like me, I will have to think 3x if it's really worth it. 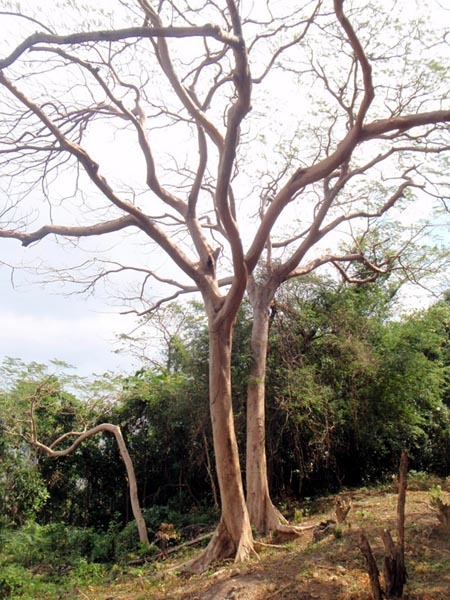 However, if you're a well-heeled tourist who can afford the price tag, Corregidor is a must-see place. 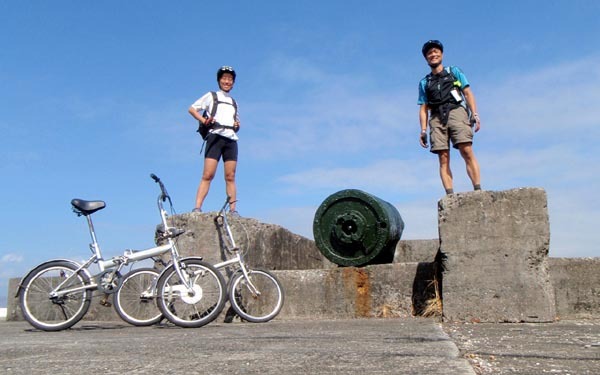 ps - thanks to Tope for lending me his folding bike, and thanks to Miles for booking our ferry ride. Max of 4 folding bikes can be loaded at a time and only on the last car. The 5th bike has to wait for the next train. Bikes should already be folded upon entering the LRT premises. 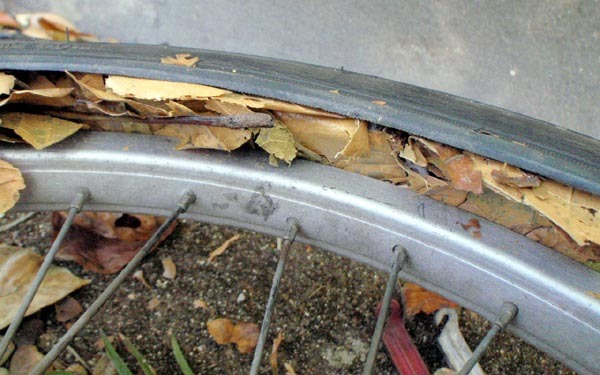 Bike tire should be no bigger than a 24" diameter (bmx size). Get a strap cord to keep the bikes folded. Bikes can inadvertently unfold. Apply dry wax to lubricate the chains. Dry lubs don't smear on your pants. Buy the lightest folding bike you can afford. You'll feel its weight as you carry them up and down the stairscase. 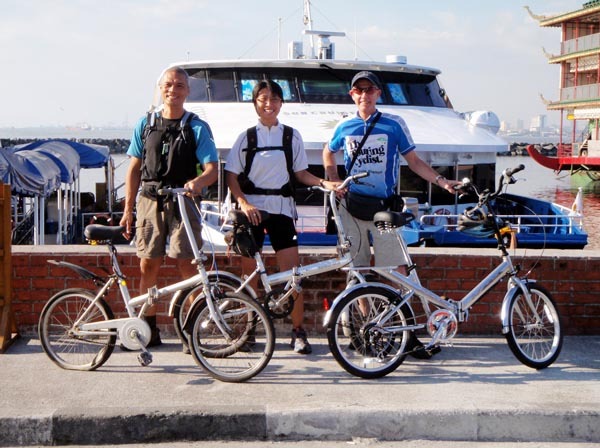 (Feb 27, 2010) Your biking trip is way better than taking those tourist trams like we did some years ago. 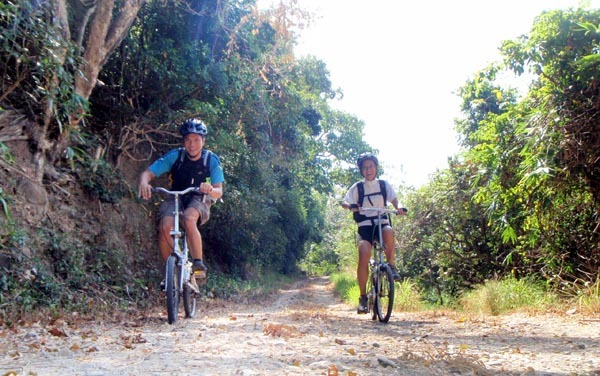 I'm hoping biking tours will soon be a mainstay in the island. (Feb 27, 2010) Great, great story! Captured the real essence of folding bikes, and biking for that matter. Would be great if you post it in Tiklop as well. Keep 'em coming, and see you next! 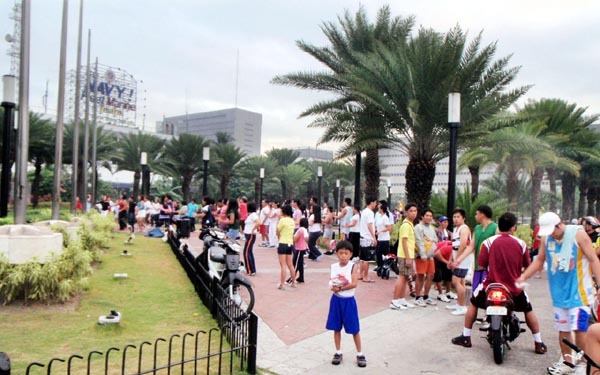 (Sep 23, 2009) kamusta na? sarap mo naman! (Feb 2, 2010) Hi! How did things work out for you and Charlene with the flat tire? 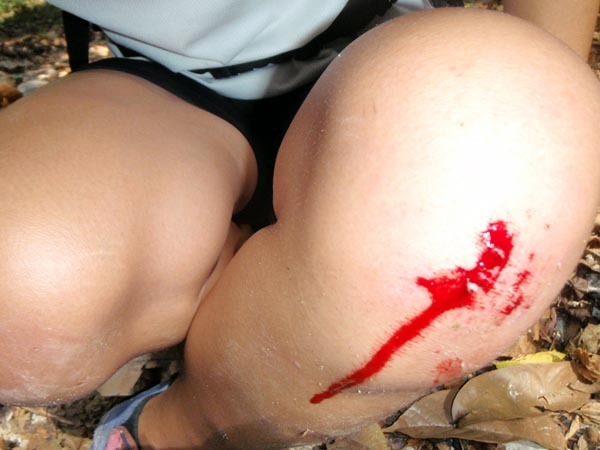 I trust that you got back home safely and that Charlene's knee is healing. My ride back to Ortigas Center took longer than expected. There was a Santo Nino procession along Roxas Ave. All the intersections crossing Roxas were closed. I watched for a while then eventually found a pedestrian overpass to get to the other side of Roxas. But at least I got back before dark. I checked my receipt and the cost of the tour trip was actually P1999! Looking forward to reading about the trip on LoneRider. Meeting you and Charlene was one of the highlights of the trip for me. I'm glad we got to share some time together.